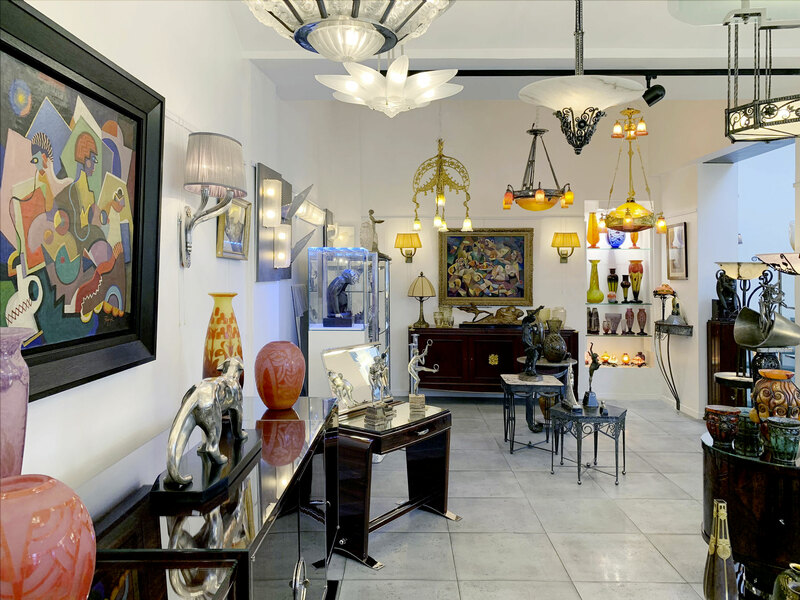 Founded twenty years ago, the ARTZ Gallery specialises in art deco furniture and art from the 20th century. A specialist in the field for decades, Raphaël Fey is continuing his family's traditions. His expertise gives real meaning to the words "knowledge" and "quality". The Gallery is located in the heart of Saint-Ouen's famous flea market, the largest antique market in the world covering 250m². 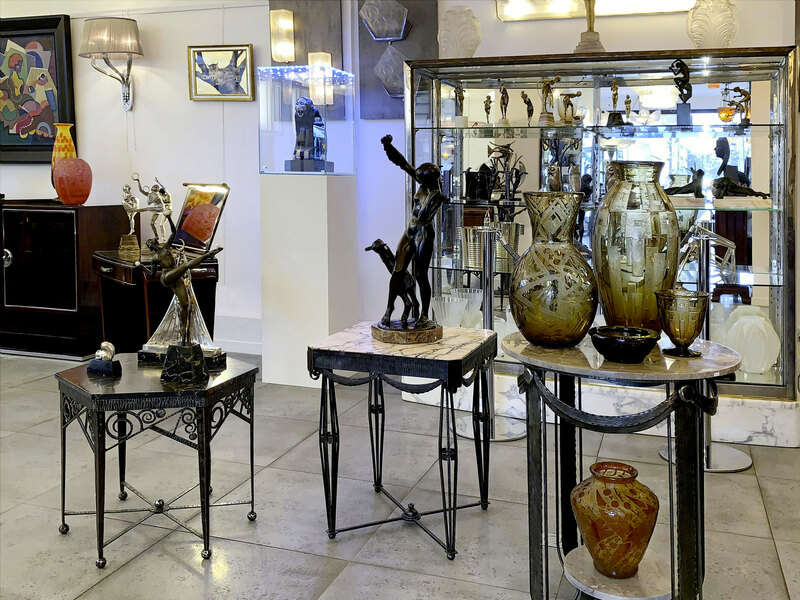 The Gallery specialises in furniture, sculpture and lighting, but also presents museum-quality works of art to an international clientele. The Art Deco artistic movement first appeared in the 1910s, flourishing in the 1920s and 1930s before giving way to the styles of the 1940s. Art Deco was an extremely influential movement in the field of design that developped in response to the stylistic excesses of Art Nouveau. The use of clean lines and flat surfaces was inspired by the geometric research of cubism or avant-gardism. The most prominent vocabularly used in art deco was order, colour and geometry. The gallery was expanded ten years ago with a 500m2 private showroom located ten minutes from the Saint-Ouen flea market. TThe art is displayed in the showroom according to a particular ambiance or theme. There is a furniture restoration workshop onsite. An appointment must be made in order to access our private showroom. Receive exclusive news from the ARTZ Gallery! Make an appointment in order to visit our private showroom. 360° tour of the showroom.